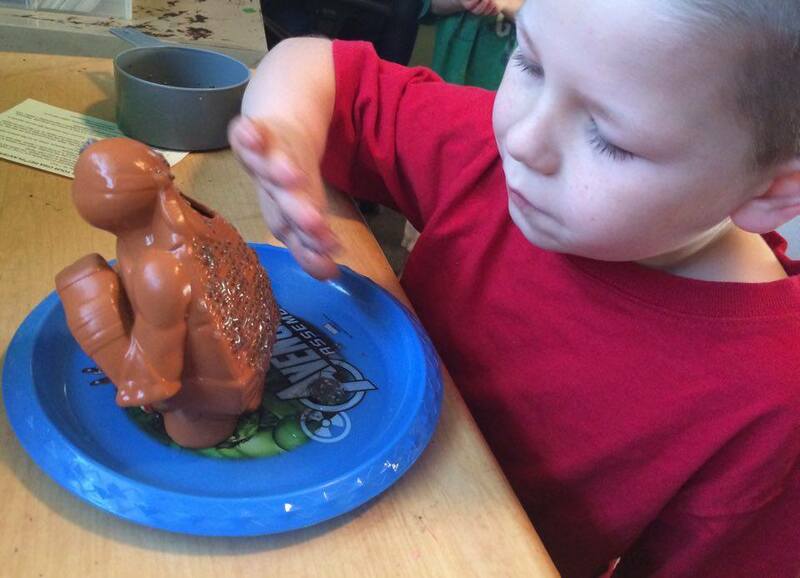 We had the opportunity to facilitate a review for a Chia Pet. I have never had success with keeping plants alive. I have hopes of an indoor and outdoor garden eventually, but it will take a lot of luck, because I have never had a green thumb. I have always wanted a Chia Pet since I was little. I remember growing up seeing the commercials and hearing their catch phrase "ch-ch-ch-chia"! So, when I had the chance to review one I was kind of excited. 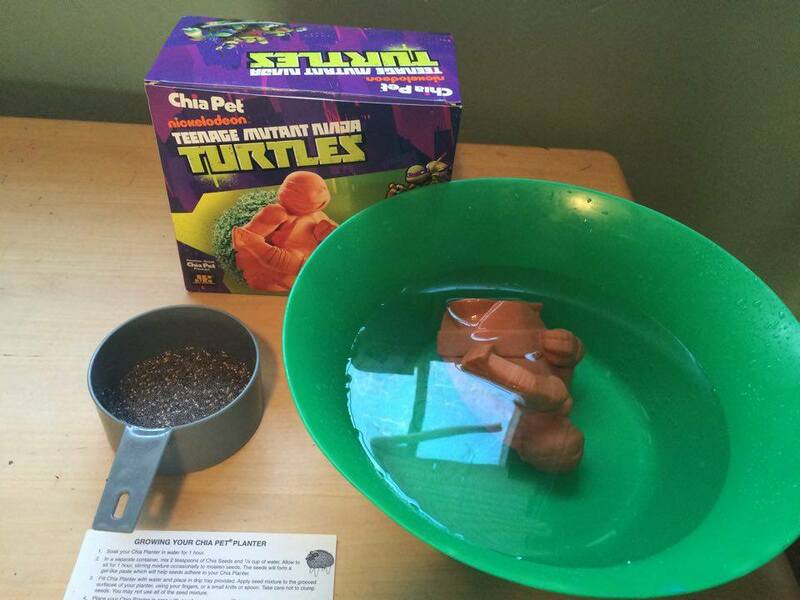 A Chia Pet is an American style terracotta figurine, used to sprout chia. The chia sprouts on the figurine like the figurines are growing hair, within a couple weeks. The moistened seeds are applied to the figures body ànd within 3-5 days you have little sprouts that begin to appear. Chia Pets need sunshine and water. They come with very easy to follow instructions. I did mine with my grandkids and we eagerly await every little sprout. I think one of us checks it every hour. 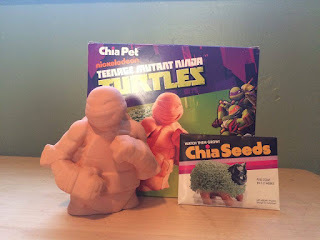 We are so excited about growing our Chia Pet. The first Chia Pet, Chia Guy was created September 8, 1977. They gained popularity in the 1980's. As of 2007, approximately 500,00 Chia Pets were sold annually. Originally Chia Pets were made in Mexico, they are now produced in China. Chia pets can be a great gift for a child or an adult. Their great conversation starters, haven't seen one that I didn't think was cute or hilariously funny. Their are so many to choose from. They have licensed characters such as Scooby-Doo, Looney Tunes, The Simpsons, Disney, and SpongeBob. There are also a range of generic Chia Pets such as a pig, kitten, puppy, frog, turtle and hippopotamus. If you are eagerly awaiting the new episodes of The Walking Dead in February get yourself a Chia Zombie! If you are political grab up the Chia Barack Obama. You can connect with Chia Pet via Facebook, @OfficalChiaPet, You Tube, Pinterest, Instagram and Chia Pet Website. Oh man! Two things from my childhood! This is amazing! haha! Thanks!